If you love cheese and would like to eat a pie then we have just the thing you are looking for. Find out about the cheese lover’s dream come true; the Italian ricotta pie as we give you an easy way to make it for yourselves. You can never get bored of eating Italian food. This is not just because of the fact that there are so many different items to choose from rather every single item has so many different recipes that one is likely to be overwhelmed by them. It would probably take an entire lifetime to exhaust the Italian cuisine because of the sheer volume of recipes that exist. The richness of the Italian cuisine truly comes into light when you examine the traditions surrounding the Italian pie. When you say Italian pie you really don’t know what you are talking about until you mention which Italian pie you mean. This is because there are a million and one special kinds of pie recipes each coming from the different regions of the country. The Italian ricotta pie happens to be one of the most interesting versions of the Italian pie. Unlike the Italian Easter pie which is basically a meat pie, the ricotta pie is a dessert item. If you love cheese then you will go nuts over the Italian ricotta cheese pie. By no means is the Italian ricotta pie a light dish because it has some heavy dairy ingredients in it which make it quite a filling and tasty delicacy. 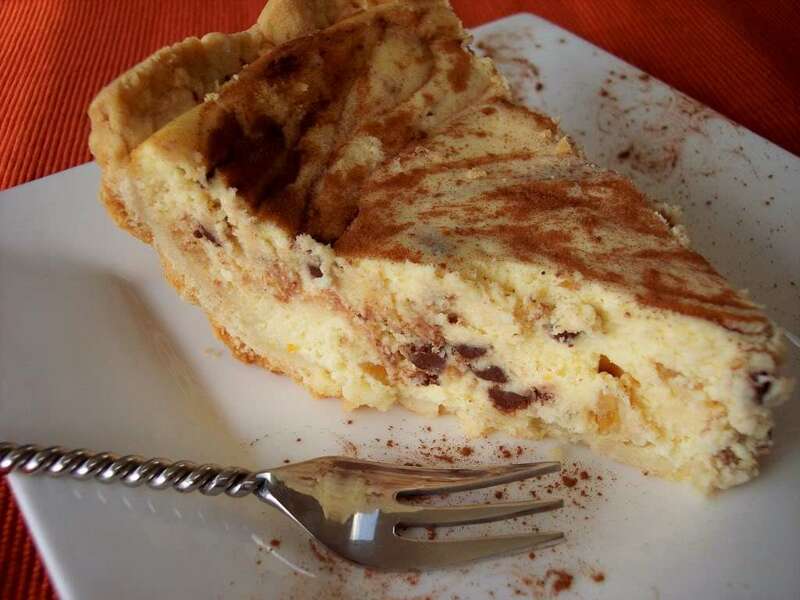 People often throw in some lemon rind and mini chocolate bits to add another dimension to the Italian ricotta pie. For an average size pie you will need around three pounds of delicious ricotta cheese which is one of the specialties of Italy in itself. You will also need around a dozen eggs in the building process. White sugar, vanilla extract, all purpose flour, baking powder and some shortening are other items that you will need in order to prepare yourselves the ideal Italian pie. If you are looking for that extra flavoring then you can add the miniature semisweet chocolate chips to the list of ingredients. You will have to start off by beating those twelve eggs in a bowl to which you will add around 2 cups of sugar and vanilla or lemon extract and mix them thoroughly. To this you will add the main ingredient which is the ricotta cheese with the chocolate chips. Stir to mix in all the ingredients together and set aside while you make the other preparations. You will need to preheat your oven to about 325 degrees. Take two deep dish pie plates and lace them with adequate grease. Then you will have to combine the flour with the baking powder while adding one cup of sugar. Cut in the shortening while mixing the contents until they take the form of coarse crumbs. Add 4 beaten eggs and a teaspoon of vanilla to the mixture. When the dough becomes tough enough divide into four balls and keep them in the fridge for a while. Once the dough balls have cooled down take two of them out to lay them down in the pie pans. Make sure you do not make a thick crust because it is bound to expand during the baking process anyways. Cut narrow strips out the other two balls and place them on the top of the pies while pouring in the mixture. Lace the pie with milk for shine and bake and bale and bake till you see that you Italian ricotta pies are ready to serve.